The total cost of natural disasters reached more than $300 billion worldwide in 2017. Catastrophes such as hurricanes, wildfires, droughts, floods, and earthquakes displace millions of people every year and send thousands to emergency departments. 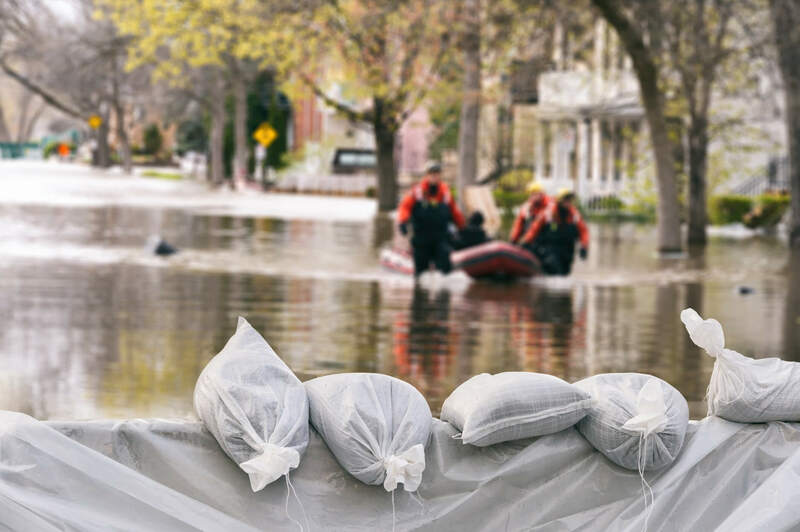 Climate change, increasingly crowded urban centers, and failing infrastructure all play a role in exacerbating the effect of these disasters, which show no sign of slowing down. Yet many EMS departments remain woefully unprepared. Don’t wait for a natural disaster to hit your area. The time to begin preparing is now. Only 36 percent of EMS professionals say they have ever responded to a natural disaster, and only 49 percent of EMS managers have ever managed a disaster response. Most respondents (68 percent) said their agency does not have the capacity to support an ambulance strike team for out-of-jurisdiction response. Just 55 percent of EMS professionals feel their knowledge of natural disaster response protocols is high or very high, with 18 percent calling their knowledge low or very low. Twenty percent of EMS responders said their agency lacks a plan for responding to natural and human-made disasters. According to the survey, EMS professionals commonly participated in a wide range of courses in disaster preparedness in 2017, pointing to a strong desire to better serve their communities. Yet the survey suggests that many EMS professionals are not getting the full range of support and training that they need from their agencies. An emergency operations plan must take natural disasters into account. Flooding can happen near any body of water. Even just a few inches of pond water can cause a flood under the right weather conditions. Flash floods are the number one weather-related killer, causing drownings and head injuries and spreading infection and disease. Tornadoes, tropical storms, and thunderstorms can all cause massive property damage and loss of human life. One of the primary risks associated with storms is flooding, but fallen trees, electrical wires, and traumatic injuries are also prevalent. Tornadoes appear suddenly and behave unpredictably. They can level a house, tear down trees, and send cars flying. Head injuries, flooding, and broken bones are common. Extreme heat kills more than 600 Americans each year. Children, the elderly, and those with chronic diseases are especially vulnerable. People living in poverty are at greater risk because they may not have access to reliable air conditioning and water. Long periods of drought coupled with dry brush and urban crowding have conspired to make fires increasingly common. Fires can spread quickly, trapping people in their homes. They may leap across freeways or jump from house to house. Falling debris from fires can cause burns and head injuries. Exposure to the massive plumes of smoke that fires produce is a common cause of asphyxiation and respiratory injuries. Secondary injuries are also common in natural disasters. When people cannot access prescription medications or medical care, preexisting illnesses may get worse. Heart attacks, infections, and strokes are all common occurrences during natural disasters. Responding to natural disasters requires EMS professionals to work in stressful and often dangerous environments. So conducting drills in high-stress and high-distraction environments can help ensure that your team has the skills it needs to weather the storm of summer emergencies. Your team should also be engaging in community outreach. Conduct seminars on common local natural disasters and encourage residents to prepare. Advise community members to have at least three days’ worth of food and water on hand, as well as other supplies they may need. While your team is educating the public about disaster preparedness supplies, make sure your own agency has what it needs. Portable suction is vital for patient airway management in natural disasters. Learn more about choosing the right unit for your agency with our Ultimate Guide to Purchasing a Portable Emergency Suction Device.